You know what I like better than Disneyland dinner? Disneyland dessert!!! There are LOTS of choices (Dole Whip, anyone?) but here are the ones that rank highest with us. 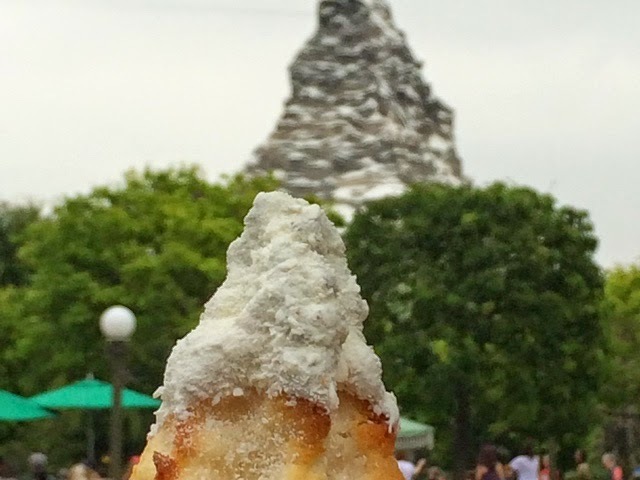 Available at the Jolly Holiday bakery, this treat is moist, coconutty (Is that a word? It is now! ), and looks like a Disneyland icon. If you haven't tried it yet, do it now! At a little window tucked behind the French Market in New Orleans Square is one of the best Disney desserts around. 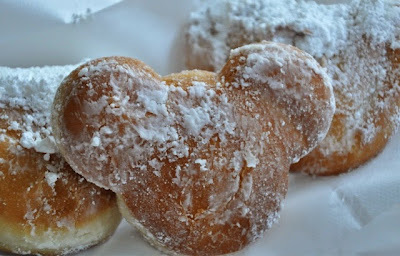 Mickey shaped beignets! They're always hot and fresh, and go perfectly with a Mint Julep (mmm... sweet Mint Julep). Now, you can also order them at Care Orleans, but they don't come in a bag full of powdered sugar that you can shake up. I think that takes away from some of the charm. And did I mention the bag full of powdered sugar? One of Disneyland's most artistic desserts is the caramel apple. 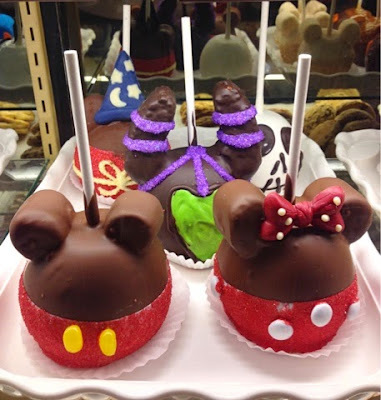 While each apple is technically the same (an apple covered in caramel and chocolate/white chocolate and decorated), the unique and sometimes over the top decorations are what make these treats pretty spectacular. There are apples representing different characters and holidays, and some that are simply covered in candies. They're so big that I recommend not only sharing, but maybe even digging in with a knife! 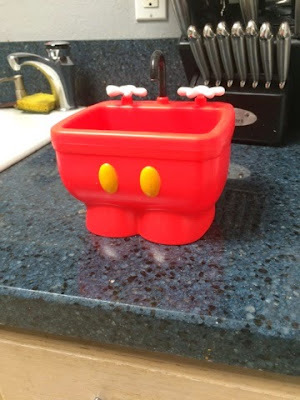 There is no other word for the Kitchen Sink but "amazeballs!" Head over to Clarabelle's Ice Cream to order this super-sized sundae. They say it's only two scoops, but with the whipped cream, syrup, and, depending on your order, cookies/chocolate covered bananas, this dessert can easily feel four! Plus, you get to keep the adorable Mickey sink!!! A pretty good deal for $11.99!